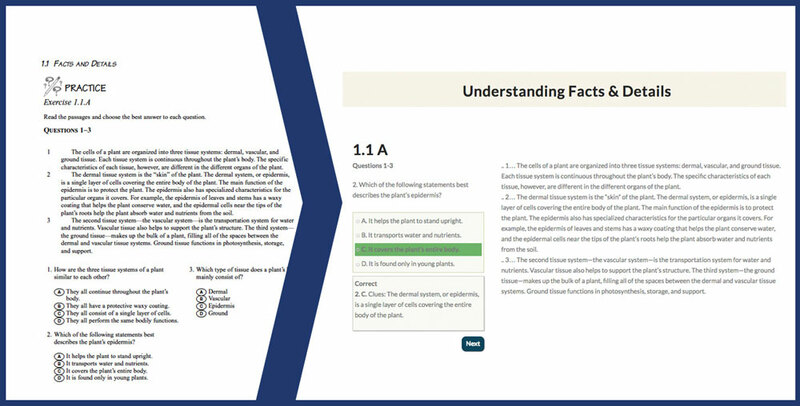 Take the short diagnostic interactive pre-test to identify your weak skills. 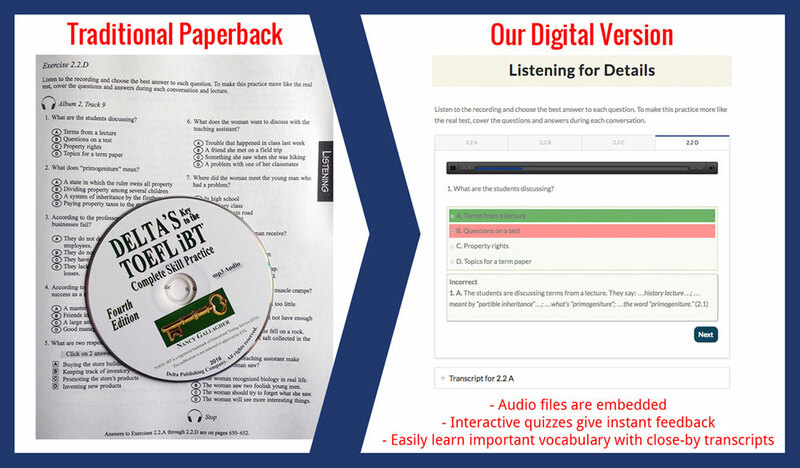 Get reading and listening practice with interactive quizzes that simulate the conditions of the real TOEFL iBT exam. If you pick the wrong answer choices, you get quick explanations about why it’s wrong. You get 35 units of concepts to study for reading, listening, speaking and writing and 5 full-length tests similar to the real TOEFL iBT. There are over 11 hours of listening practice. The audio files are embedded right next to the practice material. The transcripts (audio scripts) are right next to the listening files so you can easily check any unfamiliar concepts and learn lots of new vocabulary for campus conversations and academic topics. It provides you with enough material for approximately 15 weeks of studying, depending on how intensively you work! 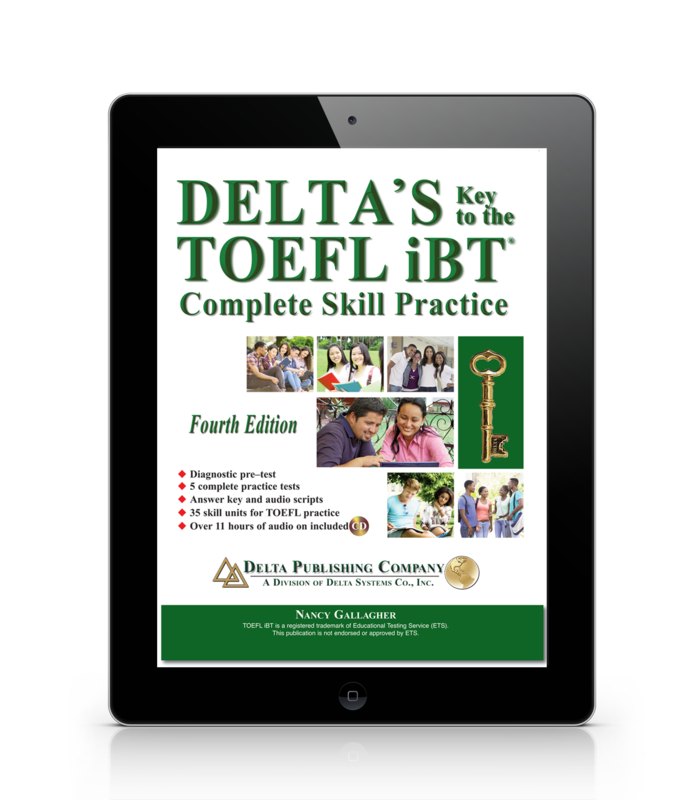 Delta’s Key to the TOEFL iBT was authored by Nancy Gallagher, edited by Patricia Brenner and Linda Ames and published by Delta Publishing Company. The content in English Success Academy’s digital version of this is the same content as Delta’s 4th edition, which was published in 2016. Enjoy quick access from anywhere in the world and on any device. 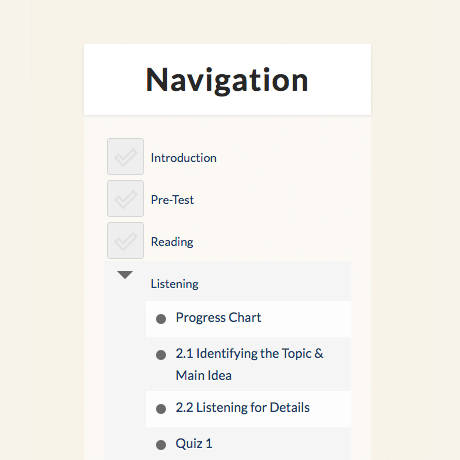 Our navigation and interface are very easy to use. You don’t have to search for the right audio track on a CD. You just click the “Play” button and focus on the task. 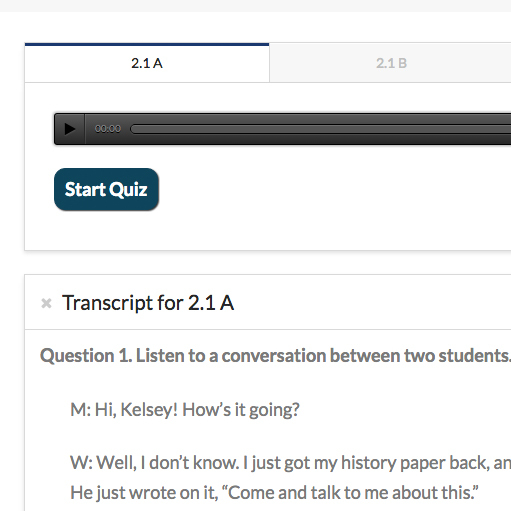 learn unfamiliar vocabulary more easily by clicking to see transcripts embedded right next to the audio files. 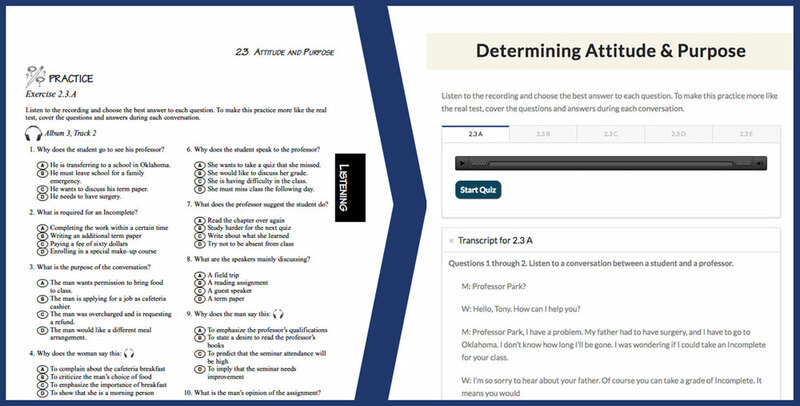 practice listening, speaking and integrated writing with the companion audio files that are presented right next to the corresponding exercises. 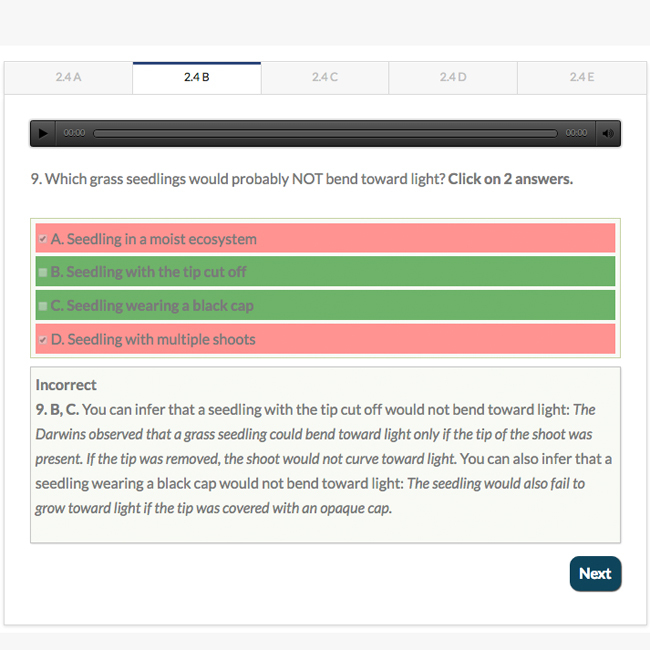 make progress faster as the correct answers for all exercises, quizzes and tests are provided right away. study on the go. Even though we recommend that you study on your desktop computer (because the shape of the screen is the same as the real TOEFL iBT exam), you may still want to study while you’re waiting for appointments or on the bus. The course can be accessed from any computer, tablet, or smartphone – all you need is a stable internet connection. improve all 4 key skills to succeed at the TOEFL iBT, including the 5th hidden skill, vocabulary! It’s a fully digital course. Right after the purchase, you will receive your access details to log in and start studying through our online platform. We give you lifetime access. That means forever (or at least until the Internet breaks). I have the Delta’s Key to the TOEFL iBT in paperback. Can I use it along with your digital course? You don’t need to. For the best experience, we recommend that you study with the digital version without referring to your paper book. We designed the digital version to prepare you for the real test environment. During the real TOEFL iBT, you are on a computer the whole time, reading, listening, speaking into a microphone and typing your essays. Our digital version of the Delta’s Key to TOEFL iBT will train these essential skills, as well.